audiences are being asked to ‘pay what you decide’. You can book your tickets as normal, then decide after watching the show what you think the price should be, so you really have nothing to lose! Pay What You Decide shows include ‘Stowaway’, a story about a man from India who finds himself on an extraordinary journey; ‘Made Up’ a heart-warming play about friendship and the faces that we show to the world; and ‘Launch Day’ a brand new piece of contemporary dance inspired by our shipbuilding heritage! 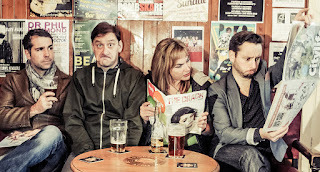 Other highlights of the Theatre programme include ‘Baby Love’ – set in the 1960’s club land of the North East, this love story is packed full of great sixties songs. 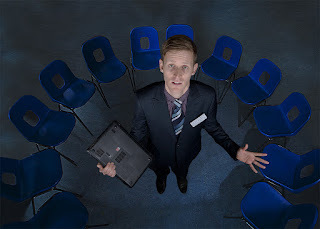 ‘The Town Meeting’ is an interactive piece of theatre, where you play the part of a town resident and help make the biggest decision in the town’s history! 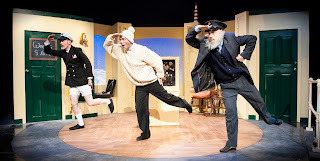 ‘The End of the Pier’ is a brand new comedy from award winning Washingtonplaywright Neil Armstrong. A music hall double act have been married for 25 year, but their only desire now is to kill each other! 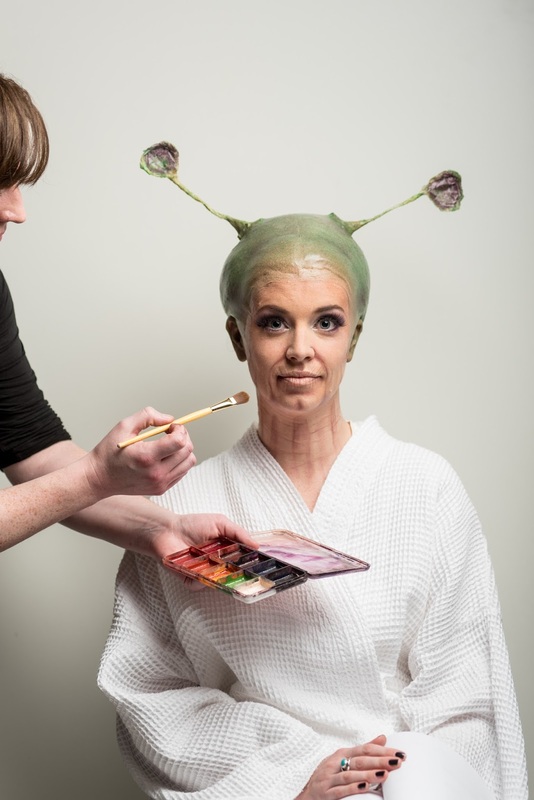 The University of Sunderland’s Drama students take over the theatre for the month long ‘Sunfest’. Shakespeare’s The Tempest and King Lear will be on the menu alongside more contemporary plays by Sean O’Casey and William Wycherley. 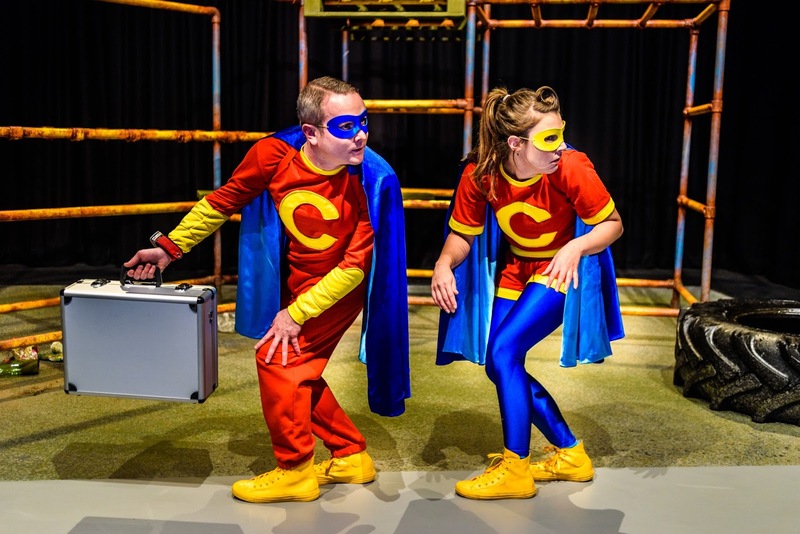 of great theatre for children and families, who can watch two super heroes overcome their rivalry at a Tadpole catching competition in ‘Tadpoles’, visit Flounder Rock Lighthouse and its comical ‘Three Keepers’ or take in ‘The (Almost) Complete History of Britain’! with the return of the family’s favourite funny man (and occasional disco dancer) Patrick Monaghan and his new show ‘The Disco Years’. 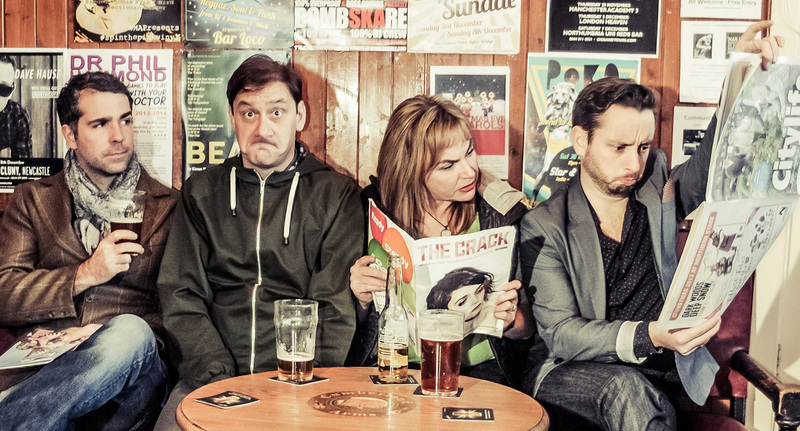 As well as the return of The Grinning Idiot Comedy Club the arts centre also hosts debut gigs for The Suggestibles and their famous improve-comedy show and cult Tyneside comedian Gavin Webster. Young dancers will be strutting their stuff in the fantastic ‘Pulse’ dance showcase and Young Artists can show off their talent as part of the ‘Youth Arts Exhibition’. ABBA - As Good as New, Ultimate Bowie and VertigoU2. 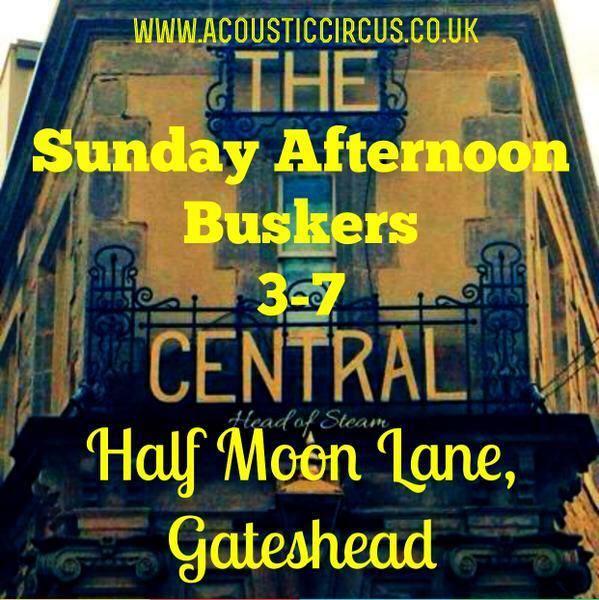 The arts centre is also very proud to be home to the award winning Davy Lamp Folk Club which will now be taking place on the first Saturday of every month, upcoming acts include Greg Russell + Ciaran Algar, The Paul McKenna Band, Bruce Molsky plus many more. Also taking the stage will be one of Sunderland’s finest up and coming musical talents ‘Social Room’ following from the success of their debut single SR7. Alongside all of that the centre plays host to activities, classes and courses for all ages and abilities to take part in the arts. 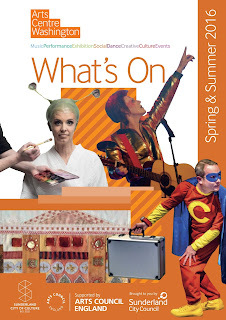 For more information on all Arts Centre Washington events visit www.artscentrewashington.co.ukor call 0191 219 3455. 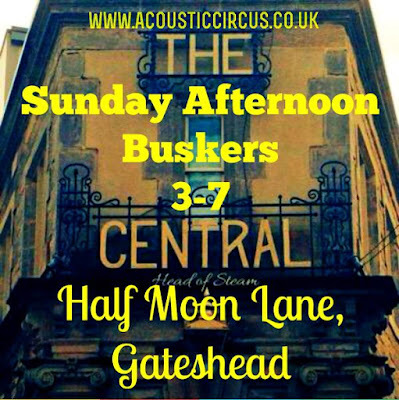 The Davy Lamp Folk Club are kicking off the new year in great style, with a visit from the immensely talented – but a bit mental - Jarrow mafia! Washington Theatre Group present their popular annual pantomime. A celebration of the talented young artists who live in our city. Schools, college, youth groups and individuals aged 11 – 20 have all been invited to submit work. 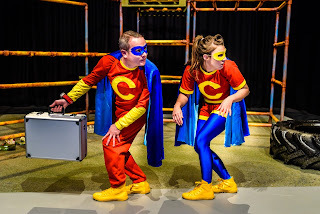 Theatre - Squirrels pulls no punches and takes a long, hard look at how some young people who are experiencing mental illness are being left to fend for themselves. The Davy Lamp Folk Club welcome back the mother and daughter duo. Two amazing singers! Celebrating Youth Dance across the North East as local dance groups take to the stage for this regional heat. A theatrical tribute to the greatest pop act in the world! 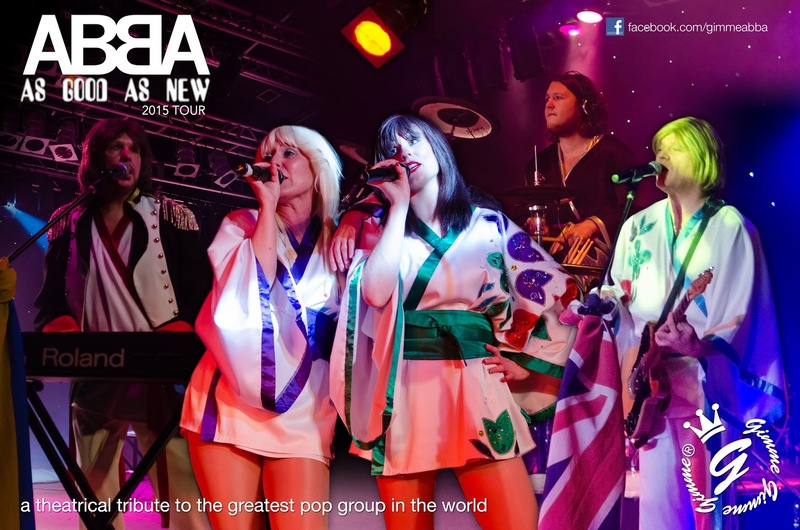 Abba's music is as vibrant today as it was back in the seventies and Gimme Gimme Gimme have been performing their tribute to the band for over 14 years. Interactive Theatre. You become a resident, and assisted only by a shambolic Junior Planning Officer, you will be forced to make the biggest decision in the history of the town! The Davy Lamp Folk Club present the two-time BBC Folk Award winners. Stowaway is a story about a man from India who finds himself far from home and adrift from everything he knows. It is the story of an extraordinary journey in search of an impossible future. Exhibition by Sunderland-based Sophie Lisa Beresford who sees astonishing beauty in the everyday, and finds magic and wonder in the most ordinary places. Join us to celebrate our new, improved arts centre. Over the past year Arts Centre Washington has been undergoing a transformation and today we throw open our doors to share our building with you. Join us for workshops, see our exhibition or wonder round our studios inhabited by a number of local creative businesses. 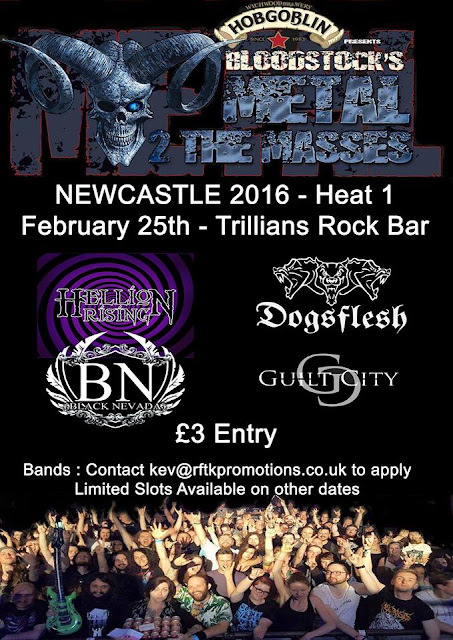 A showcase for the best new rock and indie bands in the area. Paying tribute to the work of this global super-star, in a show that is visually stunning including the whole of ‘The Rise and Fall of Ziggy Stardust and the Spiders from Mars’. A love story set in the North Eastern club-land of the 1960’s, Tom Kelly’s new play is packed with humour and great sixties songs, sung live! Kelly-Abbott Dance Theatre presents a celebration of the North East in all its industrial glory inspired by the paintings of Alexander Millar. Saturday 7 May - 10.00am – 4.00pm, Free admission. An exhibition of photography by fourteen year old Lilly Thompson from Sunderland. Recreateing the sound and feel of a Live U2 Concert. Soon to be drama graduates will be picking an exciting contemporary work that showcases their performing skills and creative talent. In this modern classic, playwright Sean O’Casey mixes drama and pathos with robust humour as he creates a vivid depiction of Irish working-class life during a bloody civil war. Sean O'Casey's masterpiece paints a vivid portrait of a city and a nation in turmoil during the Easter Rising in Dublin 1916. A play reflective of a new era—the "Restoration"—which followed an eleven-year period of harsh Puritanical rule under Oliver Cromwell, by William Wycherley. By William Shakespeare - A kingdom is divided on a whim, a King loses first his family, then his throne and then his mind. By William Shakespeare, when a powerful sea-tempest shipwrecks Prospero’s former adversaries, they are tricked and tormented by magic to hilarious effect. Made Up is a heart-warming play about friendship and the faces we show the world by Birmingham’s internationally acclaimed Stan’s Cafe. Operating Theatre, blends poignant drama and urgent debate to determine how we see the most vulnerable in society. State of the Nation combines all three plays previously performed at the arts centre, For the Best, Sitting Room and Squirrels. Gavin Webster - The World Tour! A brand new comedy from award winning Washington playwright Neil Armstrong. A music hall double act have been married for 25 years, but their only desire now is to kill each other. Exhibition by Sunderland-born Tim Brennan his work reflects on what it means to have a ‘sense of place’.